Clients can now sit in the driver's seat of the account opening process. 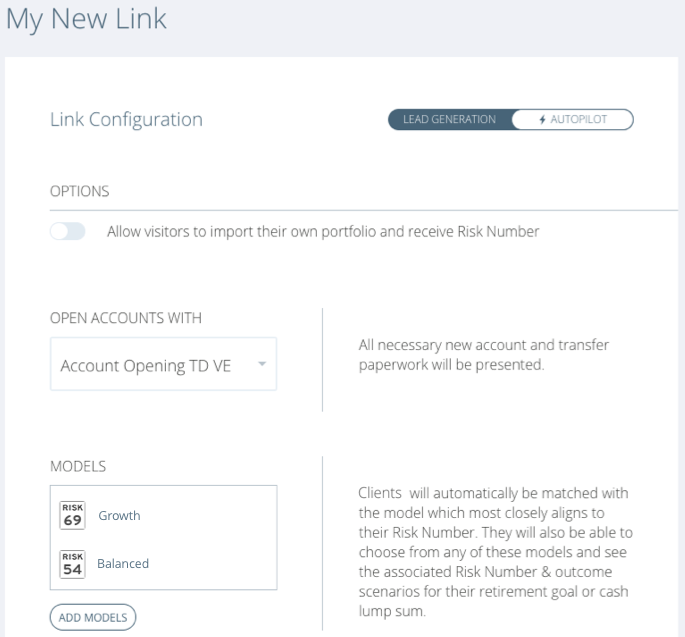 Advisors signed up on Riskalyze Premier and Autopilot can create custom lead generation links, assign their models to the links, and send them out to clients so that the client can get their Risk Number, choose a model and open an account all in the comfort of their home, on their time. You'll want to make sure you have your Premier Account Opening setup through one of our supported custodians to take advantage of Autopilot Account Opening. Learn how to enable Premier Account Opening. Then, follow the directions below. After you finish your setup, navigate to Menu > Settings > Lead Generation and create a New Link - also note that you can create as many links as you'd like so that you can have different links for different strategy groups as you see fit. Choose which partner you want to open accounts with if you have setup Premier Account Opening with multiple integrations. Add models to the link to matched to the clients Risk Number they receive after taking the Risk Questionnaire. Copy the link to place a button on your website or email the link to prospective clients for them to walk through the account opening process. Application will display progress of the DocuSign paperwork, and will allow you to resume or resend to the client while in progress. As soon as the new account gets funded, the account is surfaced on your Trading Dashboard for approval. Am I notified when a new Autopilot Account Opening questionnaire has been completed? Yes, you will receive an email alert whenever a new questionnaire is completed. 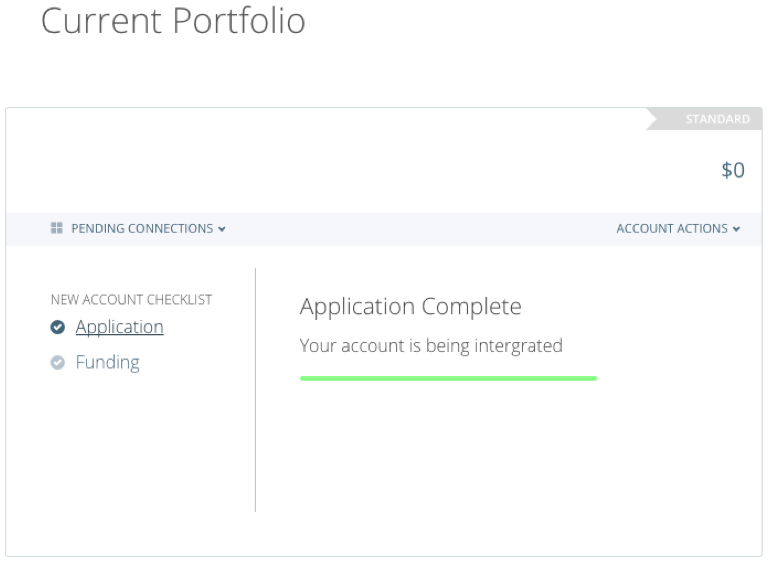 Navigate to the Autopilot>Account Opening dashboard to see applications in process.